The talian Society for Logic and the Philosophy of Science (SILFS) was founded in 1952 with the aim of promoting and encouraging research in logic and philosophy of science inItaly. On 18--20 June 2014, the Society held its Triennial International Conference, SLFS 14, at the University "Roma TRE". The conference was divided into several sessions, each centered on one of the main current topics in logic and philosophy of science, with a special focus on interdisciplinary approaches to logical and epistemological issues in the foundations of special sciences (both natural, social and human). The 100 contributed papers underwent a further selection, resulting in the 28 papers that are published here, subdivided into three macro areas: Epistemology and General Philosophy of Science; Logic and Philosophy of Logic; Philosophy of Natural Sciences. 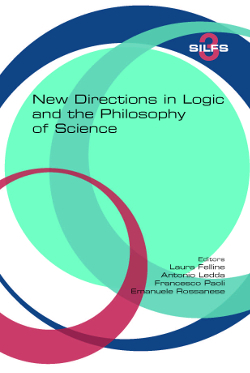 These articles offer a representative sample of the trends and developments of the contemporary research in logic and the philosophy of science in Italy, as well as reflecting the direction and themes that characterise the current international debate in these disciplines.